Get the secret tips and tricks to making the most PERFECT Rice Krispie Treats. Kid and adult friendly! THICK AND CHEWY! I spend days and days trying to come up with the perfect cake. Or the most beautiful cupcakes. Or to create the fudgiest brownies. But, it’s no secret, Rice Krispie Treats have always been the key to my heart. Knowing how to make rice krispie treats has gotten me far in life. Years ago I shared a story about my favorite treat. How sometimes when I make a batch of krispie treats I have eaten the whole 13×9 before my kids even arrive home from school. I’ve made myself sick many times overeating this treat. But it’s the perfect back to school snack! For me. I have no willpower. The lure of marshmallow is too powerful. I am weak. But, it’s not ANY rice krispie treat that has this effect on me. For instance, store bought individually wrapped treats? YUCK. Barf. So fake tasting. Or I’m sure you’ve experienced the Rice Krispie Treat that has been pressed into a crunchy square of grossness. Too hard to enjoy, not the soft and chewy treat you’ve come to love over the years! I love Rice Krispie Treats so much that I’ve created over a dozen flavors….from Fluffernutter, or Cherry, or Pistachio….to Peppermint, Cinnamon Roll, and PayDay. I’ve even got these adorable TURKEY Krispie Treats for Thanksgiving! But, in the end, it’s the classic RICE KRISPIE TREAT that draws me in. The biggest question is how to spell it. Some people say Rice Crispy, Some say Crispy Rice, some say Rice Crispies. Either way, you get the point! Line a 9-inch square baking dish with parchment paper. This way you don’t have to worry about extra butter on your fingertips, or the other extreme of your bars sticking to the pan! Use fresh marshmallows. Seriously, they make a difference. Don’t grab that bag that’s been in your pantry for months and months thinking it will be okay since you are melting them. It won’t be okay. Add my secret ingredient. VANILLA EXTRACT. Not imitation vanilla, but PURE VANILLA extract. It makes a difference in creating the illusion that you’re using homemade marshmallows. Toss in some extra marshmallows with your Rice Krispies cereal. This adds a whole dimension of chewiness! DO NOT (I repeat) DO NOT press these bars into your pan firmly. Using your fingertips, GENTLY press them in just until they are spread out. The harder you pack them in, the harder they are when it’s time to eat them! The trick to pressing them in your pan without sticking to your hands is to run your fingers in water, shake off the excess, and press. Voila. No sticking! If you’re crazy about Cocoa Krispies and want a thick and chewy Chocolate Krispie Treat Recipe, enjoy! Same great texture with a chocolate flavor! Get the secret tips and tricks to making the most PERFECT Rice Krispie Treats. Kid and adult friendly! In a large saucepan, melt butter over medium heat. Once melted, add in all but 1 cup of the marshmallows. Reduce heat to low and continue stirring until completely melted. Remove from heat and stir in the vanilla. Add the cereal and the remaining 1 cup of marshmallows. Pour into the prepared baking dish. Press GENTLY with your fingertips just until completely spread out (the harder you pack them in, the harder they are to eat). Allow to set, about 1 hour. Cut and enjoy! 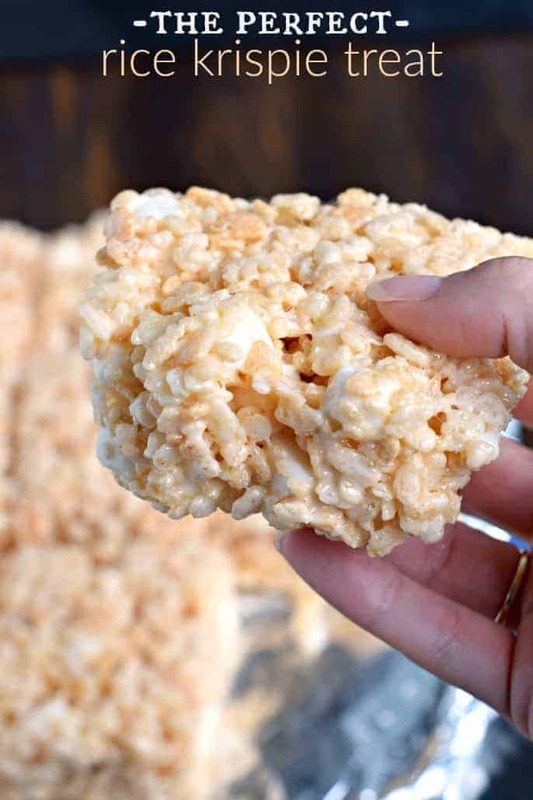 **This recipe for Perfect Rice Krispie Treats was first published on Shugary Sweets on October 27, 2016 and has been republished in May 2018. Oh yes, vanilla adds so much to these. Yuck is right on the store bought ones. No comparison to the ones you can make. Seriously I thought I was the only person on the planet that can not stay out of a pan of Rice Krispy treats. They are a trigger food. Yes, I have eaten enough until I am full and sick. I just can not stay out of them. These look wonderful. I like too that I would not need to eat the whole 9×13 just a 9×9. You’re not alone in your love of Rice Krispie Treats!!! Every time I make them for a party, the adults always demolish them ???? Yours look like the perfect ooey gooey treat!! So much better if you add peanut butter better still make it crunchy peanut butter. How much PB do you add? Is it a replacement for something else in the recipe? LOVE these tips!!!! I’m totally due to make some rice krispie treats too! Love these so would love to have recipes on this line. Or any good ones as I love sweets. It’s my go to dessert because I can’t have gluten. And there is gluten in EVERYTHING!! Thanks! I surely will try this recipe!! When melting the butter, brown it. Till it gets the little brown bits. After placing in your pan, sprinkle with sea salt. I’m telling you one thing. You will never go back to the standard RK treat ! If you want to make a 9×13 would you just double the recipe? Oh my Goodness! I just made these and I can barely contain myself, they barely made it to the pan to spread it out. I see my son running back and fourth and figured out he keeps getting little pieces then he runs back! That you so much for sharing this fabulous recipe, it is the best! I will always be making these. I so recommend everyone to make them. My family and I thank you! 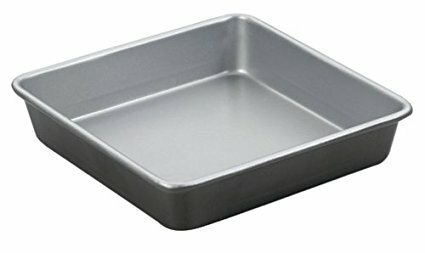 How would I need to modify the recipe if I have a 9×13 pan? Thanks so much 🙂 I’m making a bunch of different baked goods for a charity bake sale and this recipe looks great but I just have the one pan. Appreciate you! You can double the recipe 🙂 ENJOY! Have never been a fan of RK treats, but that just changed! Thank you so much for the recipe and to everyone for the add in tips. I will try them all! Totally agree! I have had some terrible rice crispy treats. I’m such a crispy snob that I will only eat mine now lol. Another tip is to never ever EVER sub real butter for anything else. Just because it’s in stick form does not mean it’s butter! Real butter people! Is it ok to use large marshmallows for this recipe and if so do you know the amount? 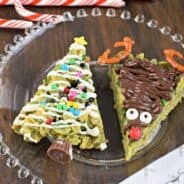 I’m really excited to try out this recipe for Christmas treats this year! How many cups of mini marshmallows? All I can buy are ten oz bags. Thank you! My bars fall apart, what did I do wrong? I add marshmallow cream to mine!???? I always use real vanilla and add 1/3 cup of dry white cake mix to the marshmallow/ butter mixture. I add another tablespoon of butter and a handful of marshmallow as “extra” to compensate for the dry mix. People go crazy for them..every time! Oooh, never thought about adding pecans! 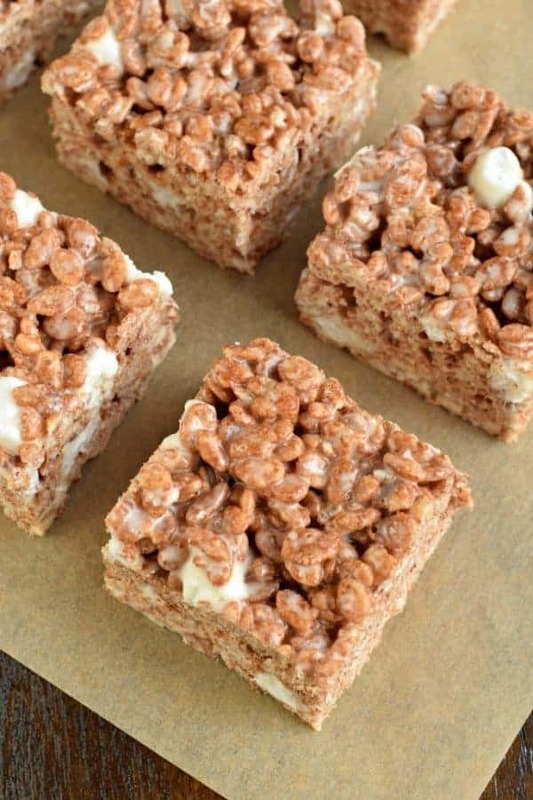 You should try substituting 1/2 of the rice krispies with cocoa krispies. They are simply amazing! My mum used to make these when we were wee. II dont remember her putting marsh mallows. Seriously, I can not have Rice Krispie Treats in my house. They are my danger food. I can not eat just one. This recipe sounds wonderful. I think it is good that they are made in a smaller pan than a 9×13. Otherwise I would be eating the 9×13. Amiee you make Perfect Rice Krispie Treats very hard to resist. Super and fast to make Thanks for all your great recipes Great MOM and all. For me, perfect is using browned butter! You know if add a tablespoon of milk to your rice krispie treats they stay sort and taste amazing!! I absolutely concur! Rice Krispy Treats are the most deliscious self-indulgent treat. However, I have always used marshmallow fluff to make them. The combination of soft ewes-gooey marshmallow thinned with warm butter mixed with the krispy rice is pure heaven! Cannot stop eating them until they are gone. These look so good! 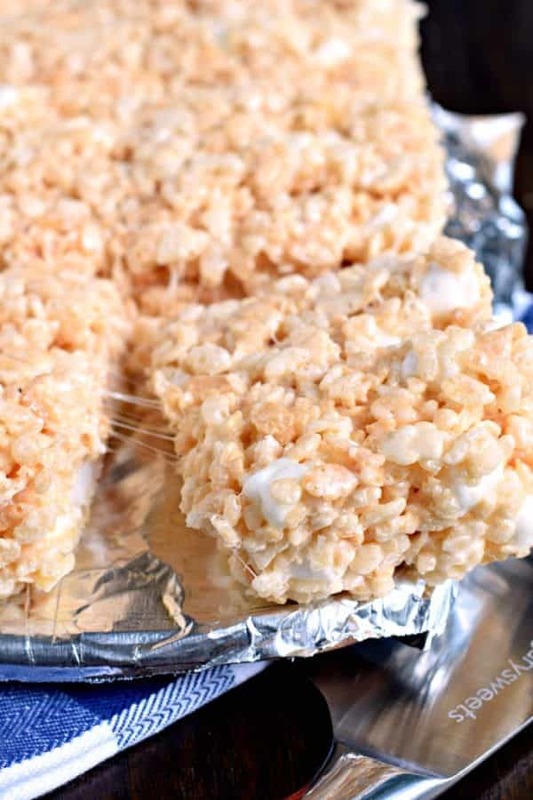 I love Rice Krispie treats…I need to make these this weekend! I haven’t had Rice Krispie Treats in forever! I think I may have to make a batch soon! The vanilla extract really does make a difference – these are so yummy! Nothing better than a rice krispy treat! I love all of these tips, I have never tried with the vanilla extract. These really are perfect! And I could most definitely eat an entire pan in one sitting. The more marshmallow, the better for me!! Thanks! I have managed to make a bit of a mess of these in the past. Yay! 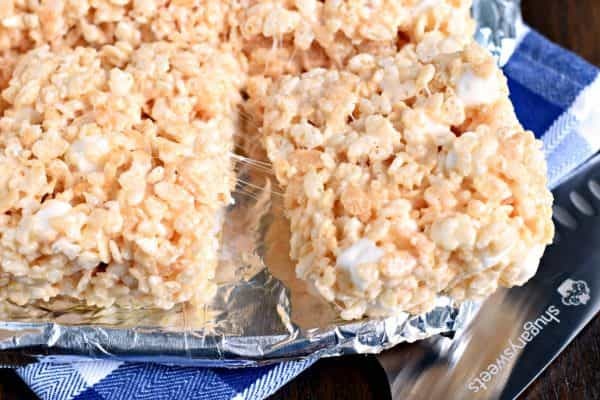 For a yummy rice kripie recipe, these are ones that are actually kind of easy to screw up… So your tips are much needed! Thank you! I am loving all those chunks of marshmallows in your recipe. I need to try this version! It has been far too long since I’ve had a good rice krispie treat. Nothing takes me back to childhood more than these! The marshmallow chunks in this recipe look AMAZING! Need to make a batch soon! Hello, this recipe looks amazing. I was going to try and make a larger batch for work so I have a newbie baking question.. 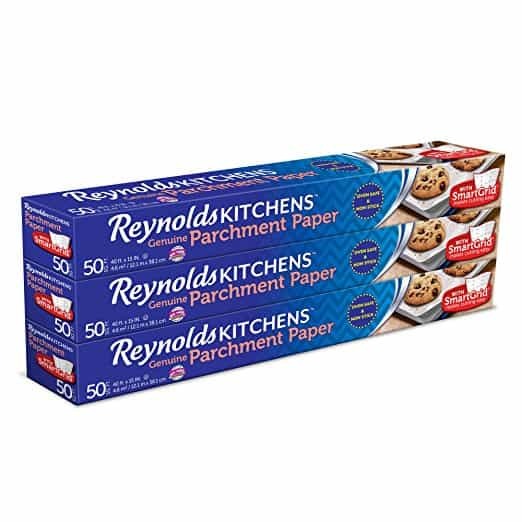 I don’t cook/bake often, so if I want to use a 9×13 like other people have said, would I double the amount of EVERY ingredient? 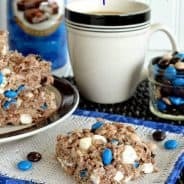 Like, 12 cups krispies, 2 tsp extract, 32 oz marshmallows, 12 tbsp. butter? Would this be correct? Thank you in advance. You could, if you like them super thick. Or, you can keep the same amount and they would be thinner. Personally, I would go a different route and make 1 1/2 times 🙂 LOL. So fast and very easy to make this. I love krispie rice so much. Thank you for your instruction to make this treat! My sons and I made this recipe yesterday. It was very easy to make with children. We added sprinkles to give a decorative look. I add fruity pebbles to my Rice Krispies. They are delicious. I add chopped pecans and dried cranberry’s yummy. 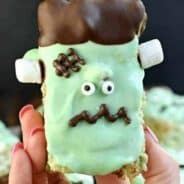 My grandkids love Rice Krispy treats, and they are easy and safe for our peanut allergy and gluten-Free diets. I microwave all ingredients (plus gel food coloring, if using), except the cereal, for 60-90 seconds (stir); microwave longer, if needed. Quicker that way and no burning! Make several batches in different colors, and layer; the combinations are endless. (Red and white; Santa hat. Blue and gold; Super Bowl). I just made these for my son’s but used the new strawberry Rice Krispies – holy cow they are a hit! Thanks for the great recipe! I had no idea that was a thing?!?. I must go find them now! I mixed in some Reese’s Pieces. Loved it. Try adding 1/2 tsp of butter flavoring! Yum!! Aimee, this looks really good! I think I need to make these for myself and the kids. Love this idea! Perfect treats for kids, rice krispie. I think it is familiar to kids, but with this recipe it makes more fun to eat. Thanks Aimee for this great treat recipe of yours.